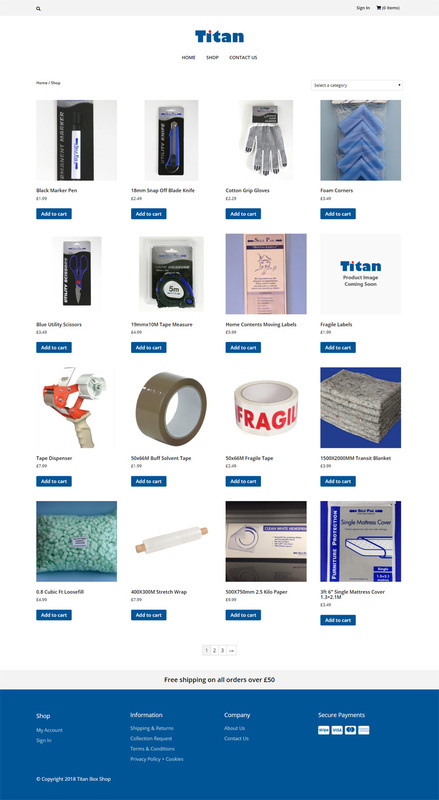 The Titan Box Shop ecommerce site stocks a vast range of packaging materials for nationwide distribution as well as offering a number of other services to its customers. 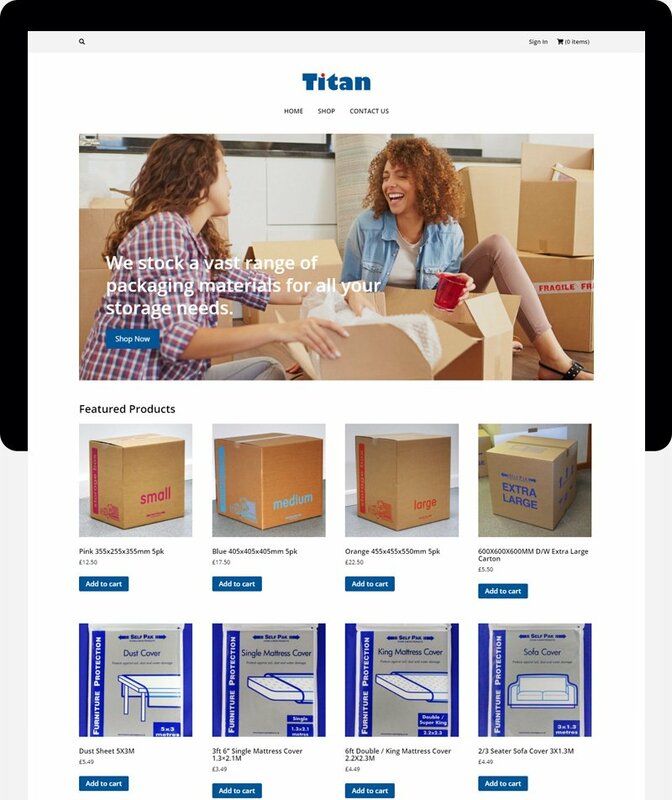 Titan Box Shop is built on the open source WordPress content management system and powered by WooCommerce the ecommerce platform designed for small to large-sized online merchants. Credit card payments are taken through Stripe payment gateway. 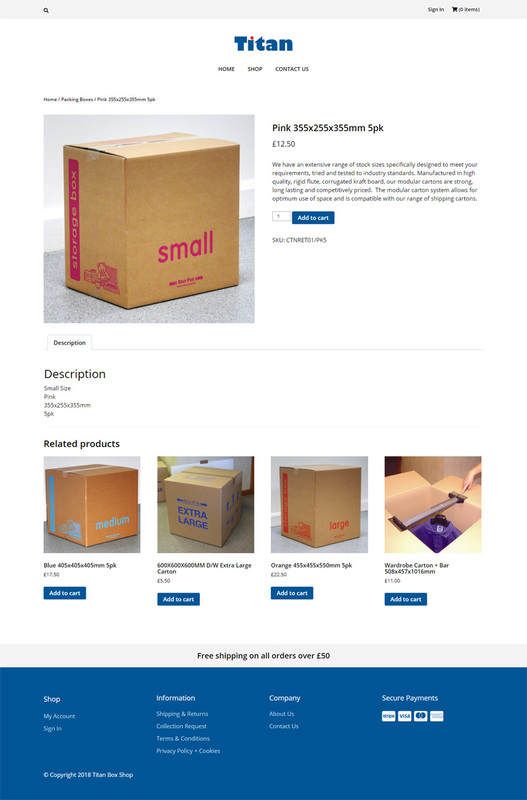 The shop page uses the full-width of the page to display products. 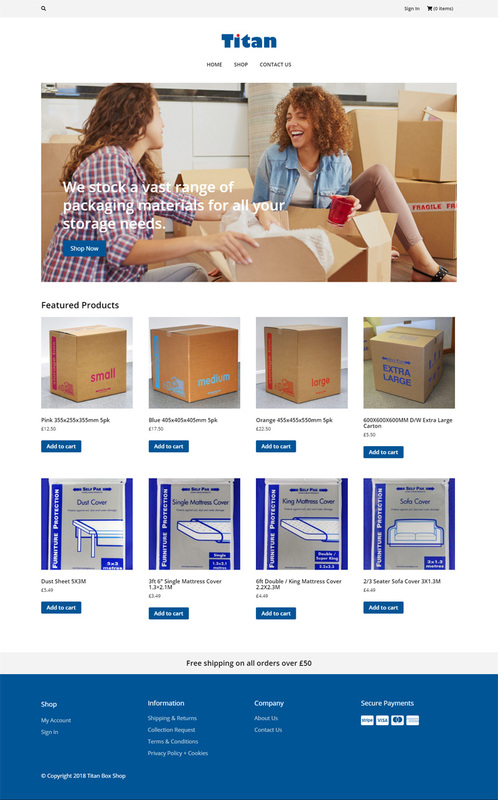 The single product page follows the classic layout. Credit card payments are taken through Stripe which allows customers to stay on the store during checkout instead of being redirected to an externally hosted checkout page, which has been proven to lead to higher conversion rates.